Manufactory Saint Maurice - Germany. 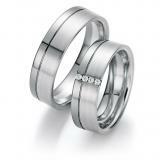 Collection TITAN: The Pforzheim factory is not only beautiful jewelry but also perfect-looking rings. 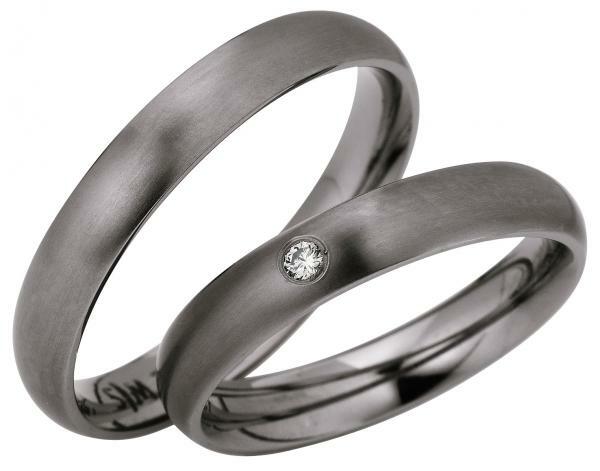 Beautiful wedding rings in titanium satin. 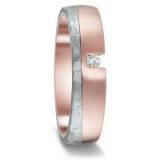 1 diamond 0.03 ct. W / SI. Width 4.00 mm.